Furthermore, this is not intended for the first-time user. I feel that you should play through the game at least once before trying this out. I do not want you to miss the magic of the game by focusing on the numbers. 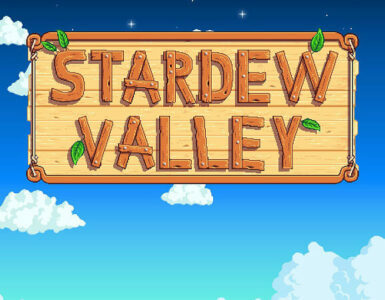 You only get to play through your first time once, enjoy it. EDIT: This build order is somewhat out of date, expect a new one after the Multiplayer Update releases, in the event that it changes things. Those who also play RTS games like Starcraft may be familiar with the concept of a ‘Build Order’, basically a plan of what you build when in the early game to optimize or maximize your benefits. 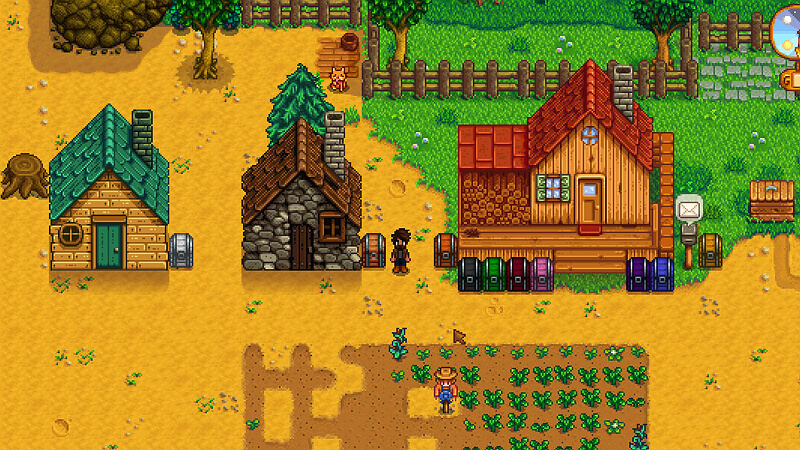 Because, as in Stardew Valley, early moves can snowball to have huge consequences later in the game. Disclaimer: I make no claims as to being the ‘best’, nor do I claim to be the most optimal. I simply present this as a fairly user-friendly way to get a decent start on crops with cash and bundle completion as primary criteria. Second Disclaimer: This guide is going to be most effective on the Normal, Forage, or Combat maps. The Fishing and Mining maps will not have sufficient acreage to follow this build order. Third Disclaimer: This is ONLY concerning itself with crops and farming. It may mention other topics, but will not lay out exactly when those other topics should be addressed. It should leave you with enough time left over to do other things, but those other things will not be specifically mentioned, except in passing. Spring 1: Clear out minimal area to house 40 parsnips, including tilling and watering. At 9:00 AM, go purchase 25 parsnips from Pierre (you can meet everyone in the store at the same time), then finish your clearing, hoeing, and watering and plant all 40 immediately. Finish the day foraging, especially Spring Onions, and do what socializing you feel like. Ending up with 50 wood for a chest today is going to be extremely valuable, if at all possible. Note: DO NOT SELL SPRING ONIONS. You will be eating them to supplement your endurance. Also, you’re going to be wanting 80 sap on the 6th, so keep that in mind. But don’t cut down too many trees until you get a level in Foraging to get seeds from the trees you chop down. Or at the very least, don’t cut down Oak trees until then. Spring 3 is the rainy day. If you think you are pro enough, go fishing for Catfish, and don’t forget Shad and at night in the ocean the Eel for bundle completion. If you don’t care about/want to fish, then just clear more ground for your 160 crop plot. Once you get Foraging high enough that you start getting seeds, you want Acorns, preferably 20 of them eventually. 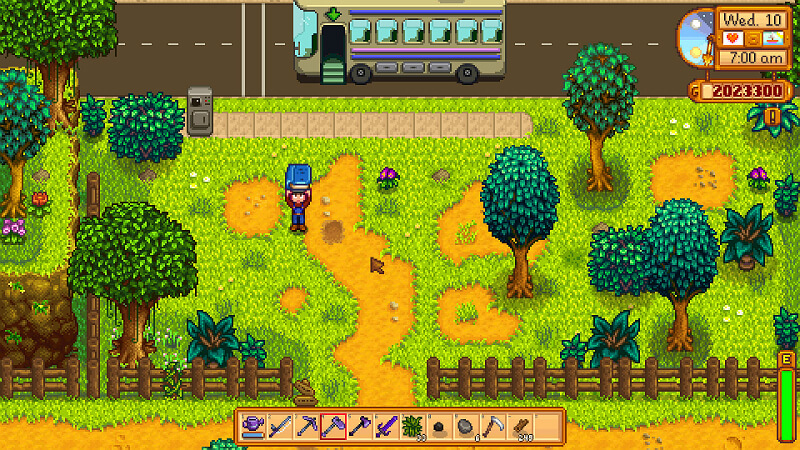 Use your hoe on the little seedling icons near oak trees. You can also right-click and shake them to see if a seed comes out. As your Foraging skill increases, the odds of an acorn dropping when you fell an Oak Tree increases. Spring 5: Harvest your Parsnips. Keep any Gold quality parsnips, go to Pierre’s. Purchase 40 parsnip seeds, and if you have enough money, 40 Potato seeds as well. You are planting the potatoes TODAY, but you are NOT planting your Parsnips today. Yes, there is the risk you may lose one potato today, but trust me, delaying a day is going to hurt you far more than one potato. 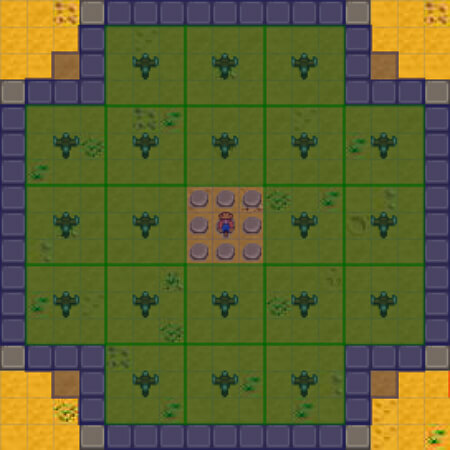 So till 40 squares in your new plot area (if it is also where your old plot area is, it may save some endurance, but may not be possible due to map constraints), water, plant potatoes. Spring 6: Craft and place your Scarecrow. Craft 40 Fertilizer. Till 40 squares, fertilize, water, then plant the Parsnips. If you have 300 wood to spare, craft your beach bridge so you can forage the tidal pool. Also go beachcombing, and go foraging in the forest. You should have at least one of the spring foraging bundle items by now. Cutscene with Lewis about the CC happens. Don’t forget to check the slab so the next part of the quest unlocks tomorrow. Spring 7: Sunday. You should get a message from the Wizard today. Keep your parsnips and potatoes watered. Go talk to the Wizard. Go complete the Foraging Bundle. Get 30 Spring Seeds. If you have the energy (including onions), hoe, water, and plant them today. Spring 8-11: Keeping everything watered is going to eat up most of your endurance at this stage, especially if you have your Spring Seeds down as well. Don’t worry about it too much. If it rains, go mining. At this point, you need copper. Anything else you bring up is gravy. 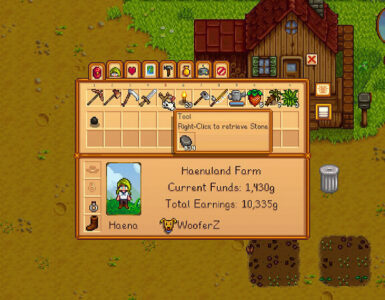 Hopefully you will get enough minerals/artifacts to Gunther to get the Cauliflower seeds by now. Put them in the dirt before the day after the Egg Festival at the latest. 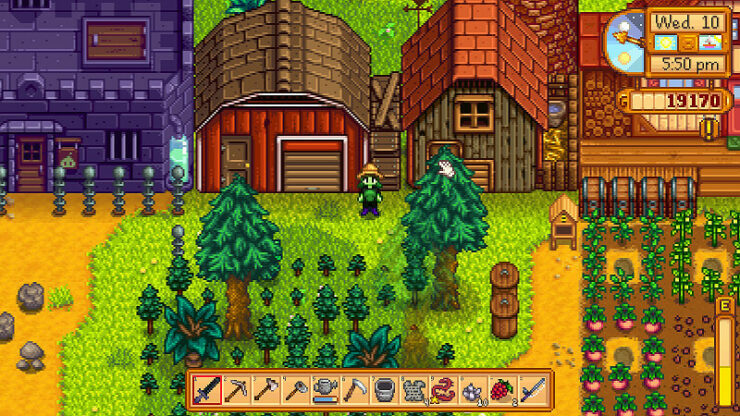 On the 11th, you will harvest your Parsnips. That’s 40 crops you don’t have to water, huzza! Hopefully, you now have 5 gold-star parsnips. If not, retain all gold-star parsnips, sell the rest (except one for the bundle) buy 40 more, put them where the last ones are. Yes, you get to re-use your fertilizer, you don’t need more of it. Spring 12th: Okay, your potatoes came up. Sell them (except one for the bundle. This is exactly why you planted the potatoes the very day your parsnips came up, instead of waiting an extra day. If you have 4,000g SAVE IT. No, do NOT get that backpack. You should still be stuck with a single row of inventory at this point. That’s not a problem. If you have MORE than 4k, then you can buy more potatoes. In fact, if you have 6k, go ahead and buy 40 more potatoes. Don’t buy more than that. You’re going to end up writing a check your endurance can’t cash if you get more than that. But under no circumstances should you let your gold go under 4k by the end of this day, that takes precedence. 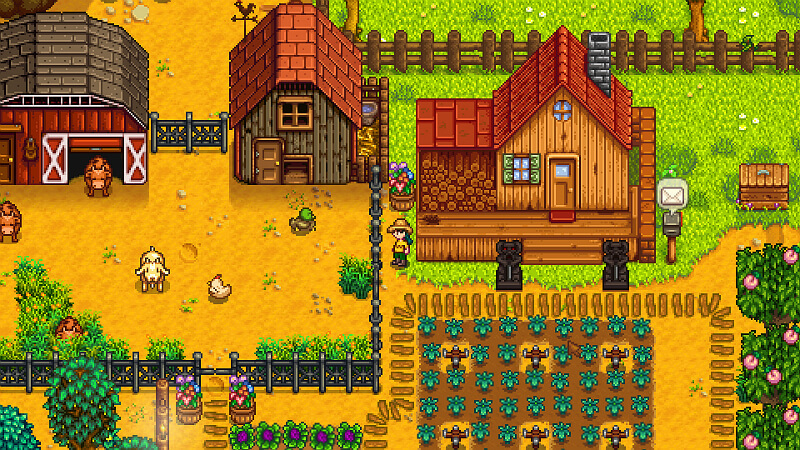 Spring 13: Egg Festival. BEFORE GOING, water your crops, and hoe out & water 40 more spaces. 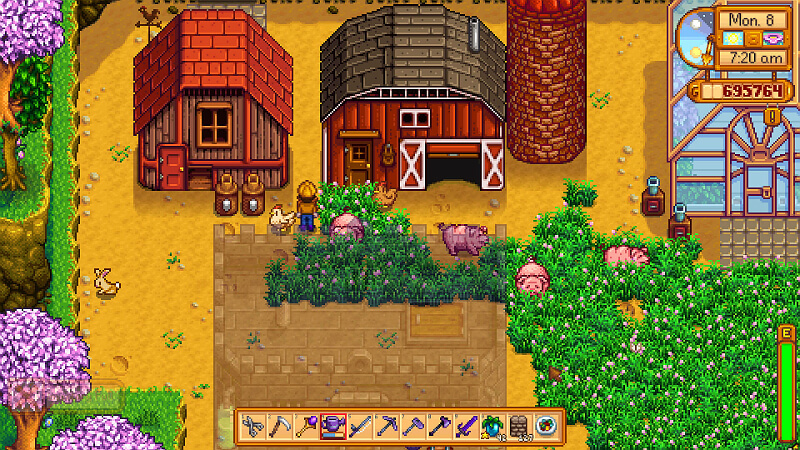 Then, go to the festival, and make sure to purchase 40 Strawberry Seeds from Pierre. From there, do what you like. Socialize, participate in the egg hunt, whatever. When you get back, IMMEDIATELY, tonight, before going to bed, plant your 40 Strawberry seeds on the plot you set up this morning. 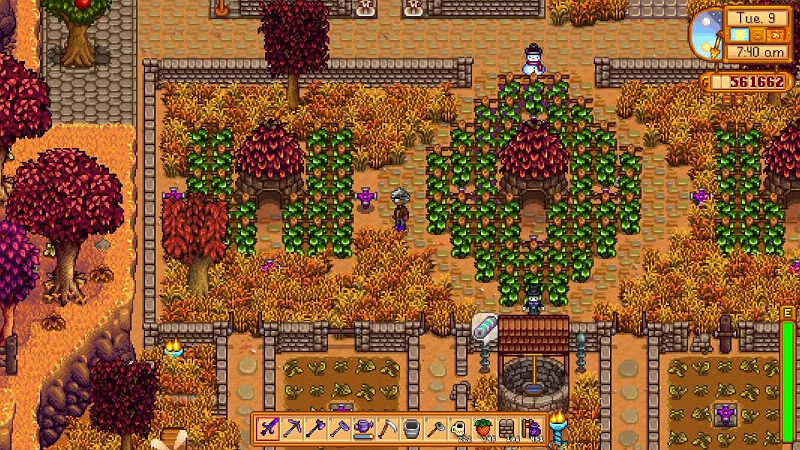 This will let you get two harvests from the Strawberries before the end of the year. Spring 14th-19th: If you had to plant a second batch of Parsnips, they came up this week. Also, your Spring Seeds should come up this week. This dramatically reduces your endurance drain every day. Now you only have to keep your potatoes and strawberries watered. Oh, and your cauliflower. 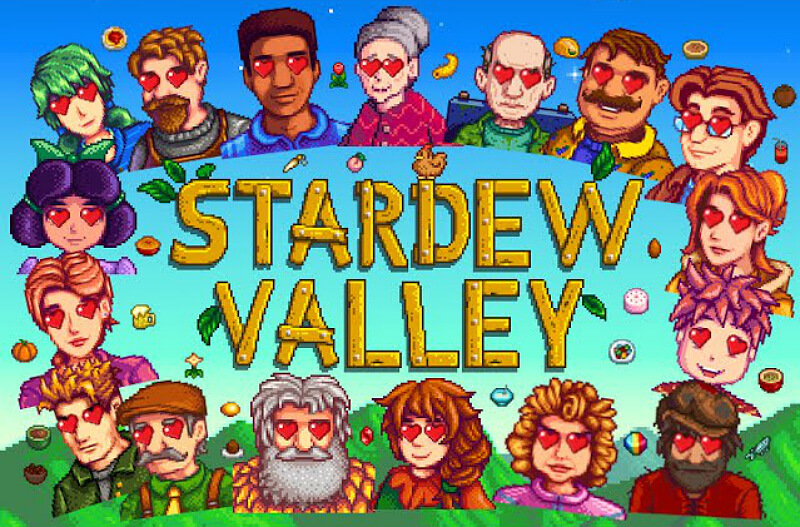 If you haven’t gotten the 9 cauliflower seeds as a reward from Gunther, buy at least one on the 14th for the bundle. If you haven’t put down a Green Bean yet, go ahead and do that at the same time as well. You’ll want one for the bundle. Salmonberries are in season now. Hit those bushes, they heal twice as much endurance as onions do. And net you foraging experience. When given the choice, go for BATS, and *NOT MUSHROOMS* for your cave. Trust me. Any of the ‘tree’ based fruits that can be turned in for the artisan bundle? Go to retiring that bundle. 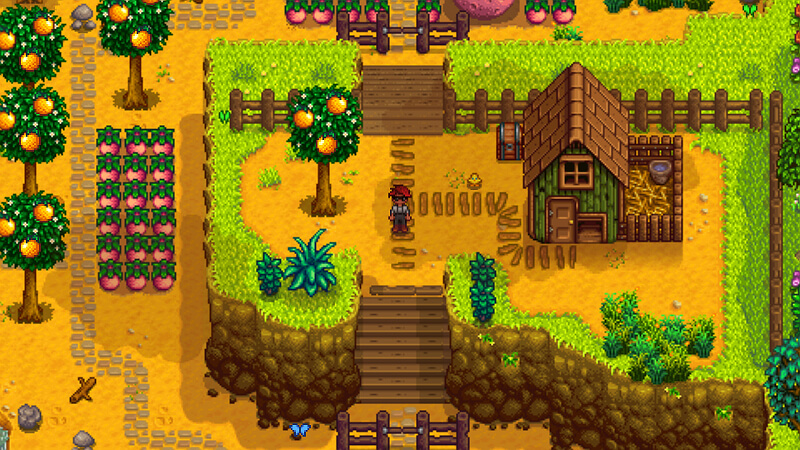 Pomegranates have the option of going to the Wizard bundle instead, but since you’re going to be planting Pomegranate trees in bulk in the greenhouse anyway, you can safely put him off. Your potatoes should come upon the 18th, if you planted on the 12th if you had 6k in the bank. It is tempting to get another 40 and put them down, however you’re going to do that in two days anyway, and you can’t afford the endurance load while still mining. If you are chock-full of salmonberries, and you want to risk it, go ahead. But failing to hit at least Iron level by the end of the month is going to be brutally punishing, and not having enough copper for your hoe and watering can upgrades by the 1st of summer will cripple you. Hit the mines hard, especially if you only have Strawberries, Cauliflower, and the Green Bean to keep watered. 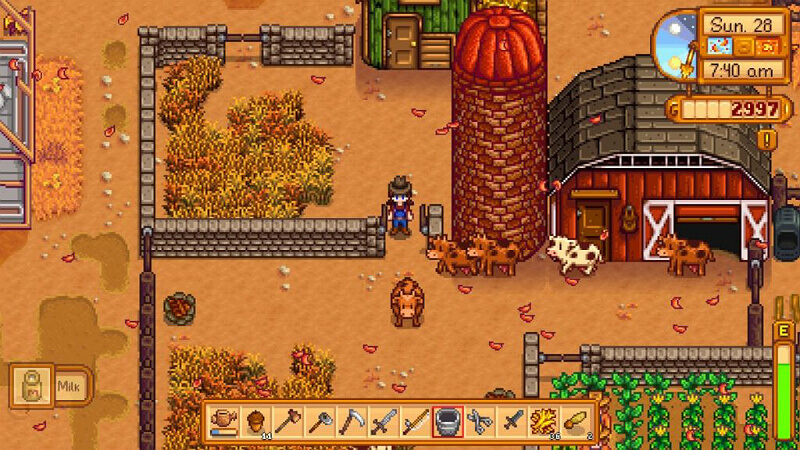 You need 5 copper bars, which is 25 copper ore, plus 20 copper ore for the furnace, which is 45 copper ore you need before the last rainstorm of the season. Once you have 5 copper bars, you will need to keep an eye on the weather channel. On a day he says it will rain on the next day, and you have at least 2k in your pocket, go upgrade your watering can. Your hoe will be the next item to upgrade. With luck, you should get them both upgraded by the end of Spring. If you don’t get a rainy day in which you have both 5 copper bars and 2k gold, do it on the 27th, as you won’t need to water anything on the 28th. Progress down to Iron level, but don’t feel pressed to go too far below that. You want a few pieces of iron, but no more than 5. Really, what you’re going to want to do is hit level 30-39 over and over again. You’re going to need 50 copper ores in very short order, and really you’re wanting MORE than that. Once you hit Foraging 3, you’re going to want to start with Tappers. One on a Pine Tree, one on a Maple Tree, and as many on Oak Trees as you can afford. If you have been collecting acorns, as I advised earlier, clear out an area and plant 20 of them. You’re going to want them down soon because they take so long to grow, and you’re going to need them to get your Oak Resin production into high gear for your Kegs. If, after your allotment for the final batch of potato seeds, you have enough money for your Hoe AND your Watering Can to get upgraded, you STILL have over 2k in reserve, go ahead and get your bag upgrade. I guess. But don’t forget your basics. This is the first time in which you may have enough money to afford it, depending on how well lady luck has favored you. Spring 20th: You’re on the home stretch for the season, but you need a lot of money for Summer. This is when your first batch of Strawberries comes in, and your last chance at planting Potatoes. Sell the strawberries, purchase 40 more potatoes. At this point, you should have 40-80 potatoes down and 40 strawberries. Don’t stop hitting the caves, especially when it rains. Don’t forget to upgrade your watering can when it rains, if it hasn’t, but wait for your Hoe upgrade until you do the watering can. It would be ironic if it rained right when he was in the middle of upgrading your hoe. That comes to a total of around 15,500 or so, depending. Buying up gold is expensive, but if you can, you can start Summer with one or two Quality Sprinklers. Surround them with Hops, and you’ll never need to worry about watering them. Ultimately, we’ll get low enough to mine gold, but you won’t be able to do that yet. That will be mid-summer. Also, the Ghosts in 40-79 have a chance of dropping Gold Ore. It’s a slim chance, but it’ll really help you if it happens. Oh, if you luck into a Gold Star Cauliflower… don’t sell it. It is about the only way to net the best response from your first luau, unless you manage to keep a gold-star Catfish or something. Summer 21-28: Harvest everything that comes up. Complete spring crops bundle. DO NOT plant anything else. If you haven’t upgraded your Watering Can, do so at your earliest opportunity (either the next day the weather man says it is going to rain the following day, or on the 27th after you’ve watered everything). If you have your Watering Can upgraded, upgrade your Hoe. If you have both upgraded, congratulations. DO NOT retain your second crop of Strawberries to turn into a Seed Maker for seeds for next year. I know, it seems like a forward-thinking thing to do, but it is really a trap at this stage. You NEED that 4,800g NOW far more than you need the strawberry seeds at the beginning of next year. You can always plant Rhubarb next spring, or coffee beans. But the second year, you’ll have enough financial reserves to purchase 160 strawberry seeds so that year 3+ you will be planting exclusively Strawberries. This is enough for the two gold bars worth of gold ore from Clint if you were worried about not being able to afford them. Or, if you find yourself a little short on what you need for your summer crops, this will push you over the edge. At the end of the first of summer, you won’t have a dime left to your name, even if you sell them. But you’ll be in a position to multiply that money through the additional crops purchased. As things mature, and are harvested, you will have more energy to do more mining. Any rainy days, and the 28th itself, you will be hitting the mines. You will ultimately want as much Copper as you can get, at least a couple of iron (more is better, but not necessary), a couple of Refined Quartz, if you can afford the 2k-4k for 1-2 gold bars worth of ore, do it. You’ll have your hops around them at the beginning of summer. a minimum 15,000g in reserve. Preferably as high as 20k. A farm plot capable of taking 160 crops surrounding a single scarecrow which shelters them all that is already set up to accommodate 20 Quality Sprinklers. As you can see, early mistakes can cost you. Delaying planting your first crop of Potatoes until after your Scarecrow is made, for example, means you can’t sell them before going to the Egg Festival, losing on the opportunity to purchase as many Strawberry Seeds, which translates to over nine thousand in lost profits, which translates to not being able to afford as many seeds at the beginning of summer, which puts you behind on your animal buildings… it snowballs from there. This may not be the most ‘optimal’ build order, but it is a solid and simple one. A great deal may flex depending on what happens, as any build order will need to take into consideration. Obviously, if you end up with a spring Ancient Seed, that needs to go in the ground immediately. Planted in Spring, you will have a minimum of 8 fruit, for roughly 15 or so seeds by Winter 1, which means your greenhouse gets filled FAR faster. You basically save over a full season’s worth of waiting for expansion that way for no real cost to you. I hope it has been of use.